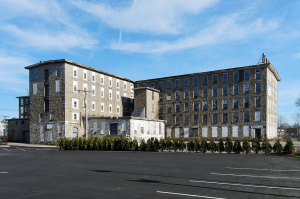 Knitting Mill Apartments Breaks Ground | Liberty Affordable Housing, Inc.
On December 15, 2017 Liberty marked the groundbreaking of its Knitting Mill Apartments in Fall River Massachusetts. Many local and state leaders and representatives were on hand to participate in the occasion. They joined with Liberty staff, consultants and Board representatives to kick off Liberty’s first ever out of New York State project which will convert a former knitting mill constructed over a 120 years ago into 100 units of affordable senior housing, a senior center for the community and a health education and wellness center.